Our import partner paid $4.50USD/lb for this coffee, and we purchased it from them at a markup of 12.5% for $5.15USD/lb. *additional context for pricing provided in the text below. Luis has had a great 2018, placing four times in the top ten of Nicaragua’s Cup of Excellence this year, including tying himself for first with his natural processed Java lots from this same farm! Though he has placed in the top 25 of Cup of Excellence in past years, his 2018 performance is sure to push him to a new level of international recognition and earn him a lot of USD for the hard work he’s put in. This farm is a massive piece of land, accounting for 100 hectares total though only about 50 are planted with coffee. The rest Luis keeps as protected areas with a flourishing biodiversity of many native flora and fauna. He grows a wide range of dwarf varietals known for their high production from the Central American classics like Caturra and Red Catuai and Pacamara through to Sarchimor relatives such Villa Sarchi and Marselleza and other hybrids. Luis is a stickler for process, and every stage is meticulous. Below you’ll find a few photos of his operation, including perfectly ripe and consistent cherries and a truly staggering drying station set up the likes of which we’ve never seen anywhere before. His drying times run from a minimum of 20 days through to 35 days, which is very high number. 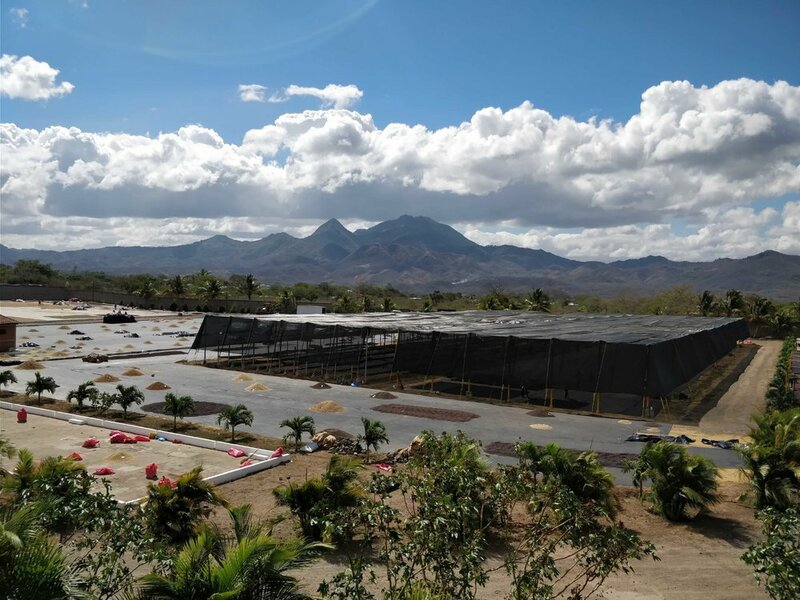 By ensuring perfect cherry selection he’s guaranteeing maximum sweetness of the resulting green and his drying setup and times will allow for perfect moisture conditions as well increasing flavour complexity and lifespan of the resulting green. Luis doesn’t stop there either — he’s one of the only producers we’ve ever heard of who actually has run tests on the PPM compositions of his water in order to find the water that best suits his coffees. Usually it’s exciting to meet a producer who cups, but when you meet those who are nerding about water, you know you’ve found a rare one! Luis is also a dream to work with in that he is not only a producer but also the miller and the exporter. 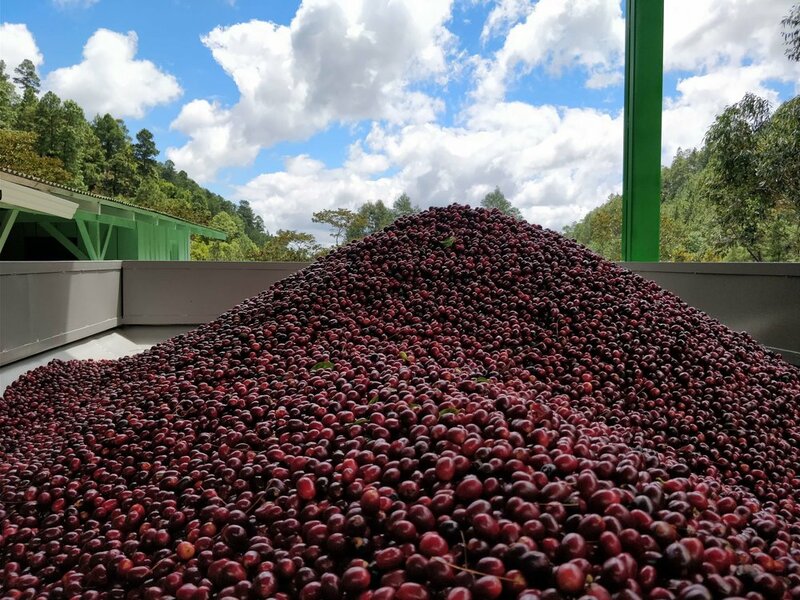 Often, producers get the coffee to parchment level before handing this over to a third-party mill who runs their own export operations or is allied with exporters. In this case, Luis handles all of this which also meant that he had to be creative given the political turmoil happening in Nicaragua currently, organizing his coffee shipments to be carried on smaller highways to ensure they were stuck in blocked roads or lost entirely. This also means that Luis can demand a higher FOB price for his coffee, though of course he takes on much more risk. Our import partner paid $4.50USD/lb for this coffee, and we purchased it from them at a markup of 12.5% for $5.15USD/lb. We’re proud to get our hands on this super interesting honey processed Pacamara for a truly fantastic producer. The result of his work leads to a cup that shines with a deep, dark sugar sweetness and the honey process lends a very particular wild berry flavour. That traditional vegetal nature of Pacamara has been transformed by beautiful picking and processing into a refreshing spearmint mouthfeel that leaves the palette fresh which each sip. La Segovia—the incredibly ambitious drying station use for both of Luis’ farms, La Benedicion and Un Regalo de Dios.